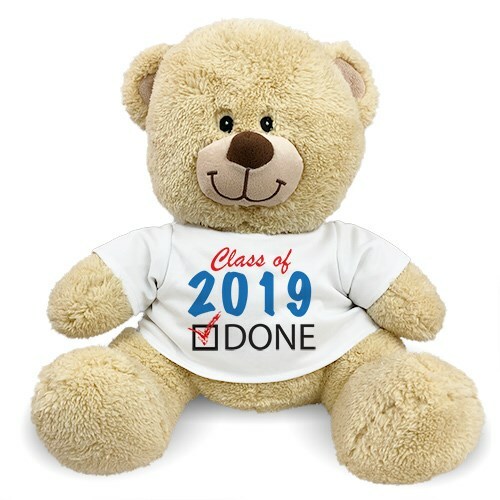 A Graduation Teddy Bear makes an excellent gift choice for those who just graduated, whether it's kindergarten, middle school, high school or college. This design is featured on our Sherman Teddy Bear. Sherman has an irresistible look on his face along with a wonderfully soft feel. He features contrasting tan fur on the inside of his ears and his snout. He measures about 11” tall. Free gift wrapping and a free gift message are included to create a thoughtful presentation. Additional Details When looking for a unique Graduation Plush Animal Gift Ideas, always think 800Bear.com. Graduation Bear Keepsakes are always well received by anyone who just graduated. Be sure to also take a look at our Plush White Graduation Teddy Bear as well.